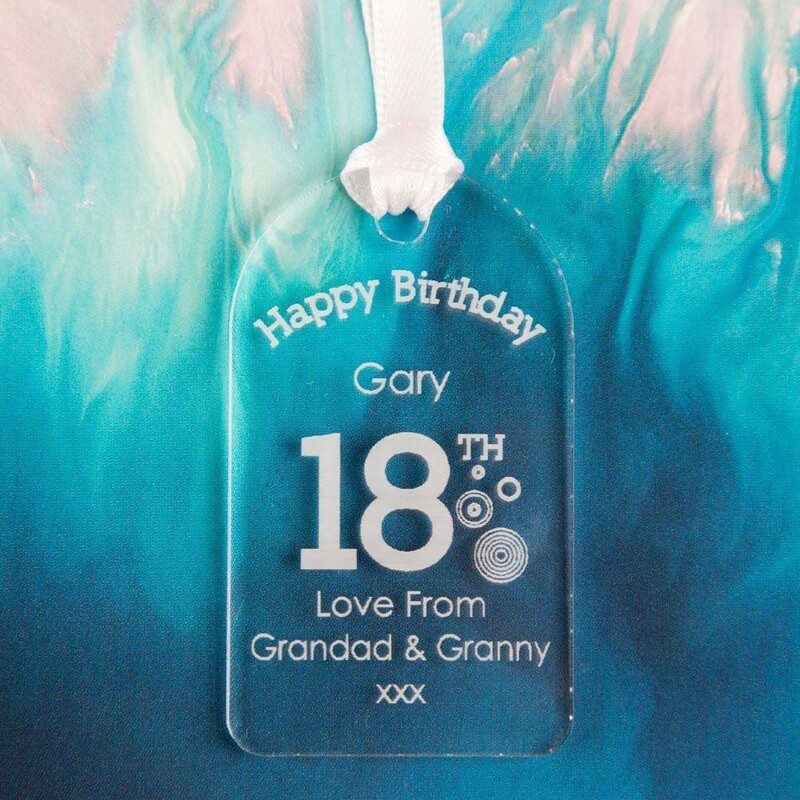 Complete an 18th birthday gift with our personalised acrylic gift tag. 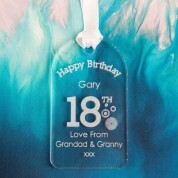 It's ideal for finishing off your gift wrapping, or to add an extra special touch to a bottle of bubbly. 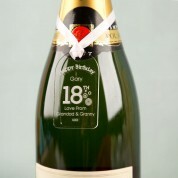 It is laser engraved with “Happy Birthday” followed by the recipient's name, and features 18th in the middle with circles to the side. It's completed with a love from message from yourself. It's a fun addition to their birthday gift, and a small keepsake of their big birthday. Dimensions: Approx. 3.5cm x 6cm x 3mm.